HELSINKI, Finland – August 9th 2012 – Gajatri Studios, an independent and innovative social games development studio, announce the release today of their debut title, Yoga Retreat on Facebook. 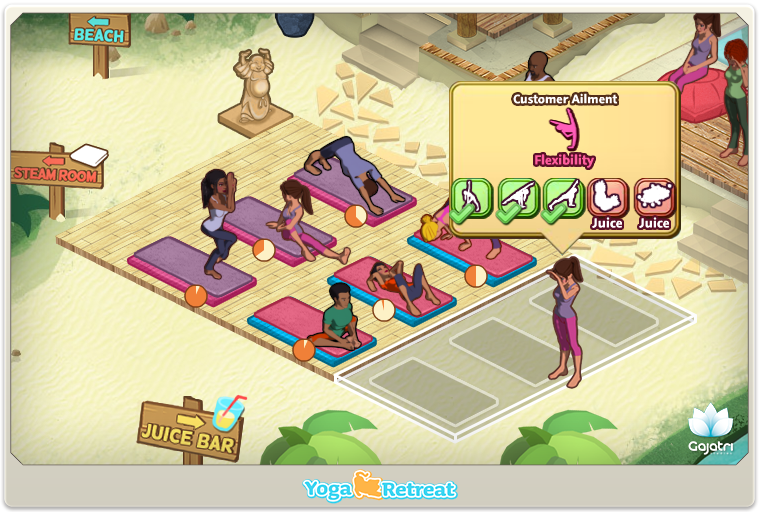 The first social management game derived from authentic well-being and yoga content, players will take on the role as a yogini, building their own tropical wellbeing island resort through practicing and teaching genuine yoga techniques, curing their digital customers’ ailments and completing quests to collect virtual currency. As players advance through Yoga Retreat, new yoga poses to practise and facilities to build and use will be unlocked. These include the Steam Room for aching muscles, the Beach practice area for advanced yoga practices and the Juice Bar where healthy drinks for ailing customers can be made from ingredients harvested from the resort. Playing alongside Facebook friends will enhance the game experience as players can share items and visit ‘Friends’ retreats. 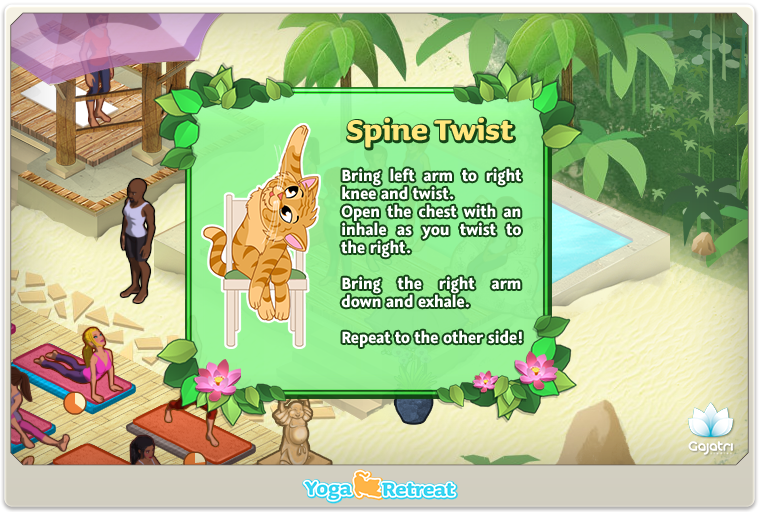 In addition to the well-being techniques players will learn throughout the game, Yoga Cat, the in-game furry friend is on hand to show players simple neck, shoulder and spine exercises for the a truly relaxing social gaming experience. Formed in September 2011 by Tiina Zilliacus, a certified yoga teacher with 14 years of production, marketing and business management experience in games, online and mobile start-ups, Gajatri Studios was created to be an innovative and unique proposition within the social gaming space; a well-being games company creating fun and engaging social games derived from authentic well-being content. Yoga Retreat is set to be the company’s first game, releasing on Facebook in August 2012, a game that is both fun and uplifting highlighting genuine yoga techniques to enhance players’ mental and physical health. Isn’t Yoga Cat cute? What do you think–are you going to play? « Vinyasa Yoga – How Flow Can You Go?